Backed by our state of art infrastructure unit, we are offering a wide gamut of Metal Pipes for Oil Industry. Owing to their sturdy designs and anti corrosion traits, these pipes have profound uses in oil industries. With the use of fine grade steel and modern technology for their fabrication, these pipes have superb finishing and dimensional accuracy. We provide these pipes under varied designs to serve vast clientele base with utmost gratification. 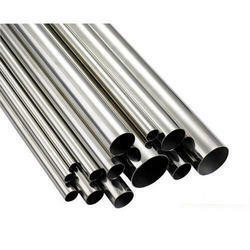 Looking for Metal Pipes for Oil Industry ?